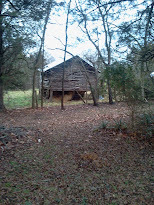 I love old farmhouses and all of the old buildings that go with them. Unlike most modern homes, they sing of their own personalities and echo of the voices and industry that once fluttered around grounds. This beautiful old homeplace is located at the intersection of Flat Creek Church Road, which is still a dirt road, and Richfield Road, which runs froms the big megopolis of Pooletown, in Rowan County, North Carolina, population 57, to the even greater megopolis of Richfield, in Stanly County, North Carolina, population 607. While Pooletown has a volunteer fire department that can cook up some awesome Bar-be-que and a little country gas station where you can still buy pickled eggs and pig's feet, Richfield, which is located at the intersection of Hwy's 52 and 49 boosts a school, at least 5 churches, a post office, a bank, 2 doctors offices, a Dollar General, a Walmart Express, a CVS, a Food Lion, and a variety of choices to dine at from Becky's, The Motel Restaurant (yes it also has a motel), Pizza Stop, Subway, JinJin's Chinese, KFC, Taco Bell, McDonald's, Wendy's, Bojangles and 3 Convenience Stores. At one time there was also a video store and a dog groomers. Who needed to leave? I knew from the beauty of this old house and the songs she whispered to the wind, that she had many, many stories to tell for any who would sit on her river rock stairs and listen...and boy did she. But first, the old lady herself. 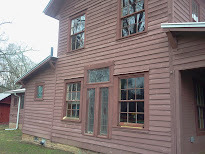 The Morgan-Cole farmhouse is very typical of her era, two stories built in hopes of raising a large farm family, numerous buildings scattered near and far across the property for farm use: Barn, Hay barn, spring house, smoke house, corn crib, well house, tool shed, wood shed, grain silo, outhouse, farm equipment shed, thrashing barn. Very early ones even had a separate kitchen house, or have a breezeway that connect the Main house to the kitchen house, built at a later date. 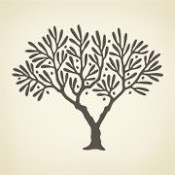 A few others, that housed the families of farmers that were also of a professional occupation, like a merchant, doctor, attorney or postmaster, which I have found several instances of in my family tree, also may have had an office or post office building near the house as well. 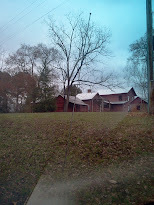 To trace the origins of the family that graced this lovely, large old farm, I began at the present and went backwards. 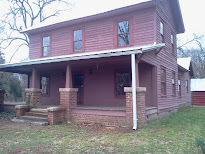 The Morgan-Cole House is currently the property of Miss Ruth E. Cole. Miss Cole and her family were one of the families that floated around the rich farmlands of the lower Yadkin Valley where Davidson, Rowan and Stanly counties come together. While owning the property, her actual address is in the Lick Creek community of Southern Davidson County, not far from the old crossroads community of Healing Springs and the ghost town of Jackson Hill. 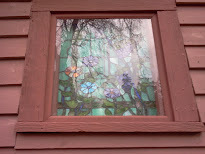 The house itself has beautiful stained glass windows in spots, perhaps shipped from a foreign port, or salvaged from an abandoned church. 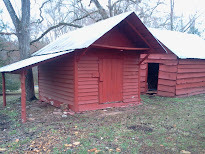 It is painted barn red to match other outbuildings. Some of the buildings have been preserved, others are arranged in ruin within the woods across the street. 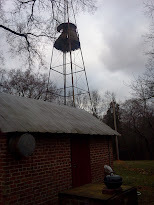 The remains of a windmill/water tower hover above the house. 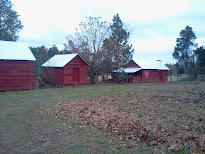 A row of utility/farm buildings line the back at the edge of a beautiful rolling meadow. 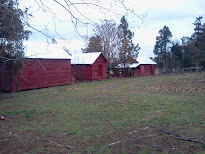 More red sheds adorn the southern edge of the yard. 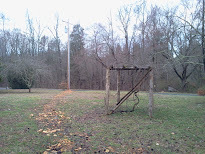 You can see a worn trail past the grape arbor and leading toward the decaying farm buildings across the road. 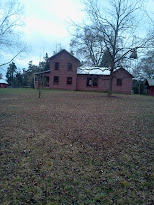 At the northern end of the yard, every old farm had to have at least one Magnolia tree, and a row of either pecans or black walnuts. The north side of the house faces the dirt road that led to Flat Creek Church. The back of the house faces the Richfield Road. When it was built, it was obviously prior to the existing Richfield Road, which cuts right through the farm property, which extends from old Pond Road, and down to Shaver Road on the opposite side of the street. 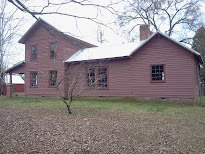 From this view, you can see that the 'Big House' was originally the two-story part, with the kitchen house behind it, and at some point, the family built the connection between the two. A few shots of the interior of the home show it could almost be a museum set-up...but it's not. Some comes often to keep things in order. 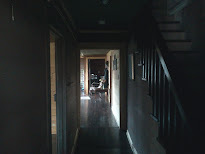 Some of the shots seem to capture eery shapes of whom may have lived here in the past. Ghost-hunters, opine. 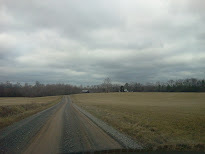 Heading down the old Flat Creek Church Road, the nearest neighbor is a far shot around the bend. Just like in the old days. The road leads to the Flat Creek Church, in the Morgan Ford community. A history of the church states that is was a spin off from the Jersey Church in Davidson County, one of the first Baptist churches in the area. A congregation from New Jersey had migrated south to the western front in North Carolina, near the old Trading Ford Community on the Yadkin River and on the Rowan/Davidson county border. 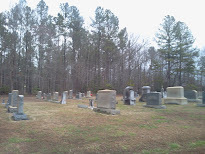 "Flat Creek which was a spin off from Jersey Baptist, is situated on the edge of Rowan County near the Stanly County line on the Yadkin River and was active before 1840." 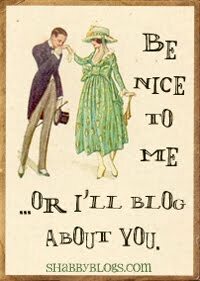 But back to Miss Ruth E. Cole. She came into possession of the house in 1979, but does not live there. Instead, Miss Cole lives in the Lick Creek Community in Southern Davidson County, which is still in very close proximity to the Morgan-Cole house. The area is proclaimed Denton, but is about 15 miles outside of Denton and is much closer to Richfield in Stanly County. Miss Cole was deeded the property by her mother, Freida M. Morgan Cole. 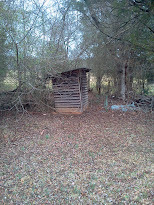 In the description, the property is said to border that of Brooks Cole, Annie Troutman, Ethel Troutman and JNC Morgan. Ruth Elizabeth Cole was born in 1918 to Albert Milton Cole and his wife Frieda M. Morgan Cole. In 1938 and 1939, she attended the University of North Carolina in Greensboro. Also in 1939, she had a daughter, Hilda Octavia Martin with Isaac M. Martin. She would later divorce and remarry and have daughter Joyce Ann Barney with husband Charles Barney in 1947. She would later return to her maiden name. Miss Ruth Elizabeth Cole is still living at 95. In the 1930 census, she is shown in the home with her parents, her paternal grandfather, James Milton Cole, and her younger siblings, Albert Brooks Cole, and Martha Virginia Cole. Her sister Martha Virginia Cole also attended UNCG. As you can see, the Cole girls were very beautiful young ladies. While Ruth was hailed as being from High Rock, the village that grew around the building of High Rock dam and at one time had the busiest train station in Davidson County, Martha was listed as being from Denton, the largest town with a current Post Office, now. Brooks Cole became a farmer and his property adjoined that of Ruth. Frieda Mae Morgan Cole was born September 30, 1898 and died August 7, 1994. She had inherited the farm from her father. She married Albert Milton Cole on December 18, 1917. 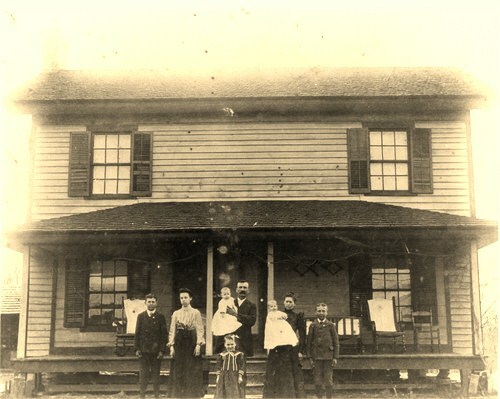 This is the Morgan-Cole House about 1901 or 1902, when the twins were born. The little girl in front of her father is Frieda Mae Morgan. From left to right is: Soloman Rether Morgan, Dovie Evelyn Morgan, Father John Noah Calvin Morgan holding one of the twins, either son Elmer Lee Morgan or daughter Roxanna Ida Katherine Morgan, with Frieda Mae in front, the mother Eugenia Macalia (pronounced Makayla) Culp Morgan, known as Jenny, holding the other twin and son William Walter Morgan. Youngest son Calvin Roscoe Morgan had not been born yet. Eugenia McCaila Culp was born on June 17, 1868 in Stanly County to William Edward Culp and Martha Jane Miller. 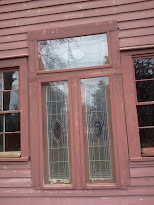 The Stanly County Culps were centered around the northern part of the County and founded Culp Lumber Company in New London. 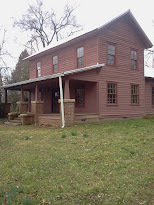 The Millers were situated in the Valley District along the Yadkin River on the northern part of Stanly County between present day Badin and Morrow Mountain State Park, in an area known as Millertown. She and Cal Morgan, as he was known, were married at Luther's Lutheran Church on a spring day, April 9 in 1885. Luther's Lutheran is still an active church on the Stokes Ferry Road intersection with Richfield road, and very close to the Rowan/Stanly County line. They were the parents of seven children. The oldest, Dovie, arrived 13 months after the marriage in May of 1886. She married a neighbor, Charles Reuben Shaver, also born in 1886, of the Pooletown District of Rowan County. Shaver Road, that borders the Morgan property, was named for this family, so their farms most likely connected. Dovie and Charlie were the parents of 8 children. Dovie died February 11, 1966, and is buried at Luthers Lutheran Church, where her parents married. Soloman Reather Morgan, the oldest son, followed quickly on December 4, 1887. He was drafted into the army from Stanly County and is noted as having brown eyes, black hair and a medium build. He married Mary Pearle Miller , July 6, 1915 in Rowan County. She was the daughter of Joseph W Miller and Isabella Cauble Miller of Richfield, and likely a cousin. Soloman and Pearl would move to Wilson, North Carolina where he would pass away on April 17, 1967. They had 5 children, Madelyn, Pearle Ray, Clifford M., Earl and Rachel. The 1940 census records his profession as "Signal Maintenance A. C. L.". William Walter Morgan was the third child born, on January 27, 1890. He, like his older brother, was also a veteran of WWI. He was drafted in California with his hometown listed as Richfield, North Carolina, and described as having brown hair, brown eyes and a medium build. William Walter Morgan passed away on Halloween night in 1932 in Los Angeles, California at the age of 42. I know there is much more to his story to be told. Although he is shown with a marriage license in North Carolina to an Elizabeth Moore, his wife by 1920 in Kern County, California was a lady named Ruby. They have 2 people living with them in the 1920 census, but no one living with them in 1930. They were childless. Freida Mae Morgan Cole was the thirdborn child and remained in North Carolina. Of the twins, the male twin, Earl Lee, followed his older brother to Kern County, California after living in Detroit, Michigan for awhile. He married a girl from Missouri, Amy Berthal, and they had a daughter, Katheryn, in 1928 while living in Detroit. Earl Lee Morgan also died young, in 1947 at age 46. His job description was that of a Gas Company Pipeline Repairman. He may have died in an explosion. 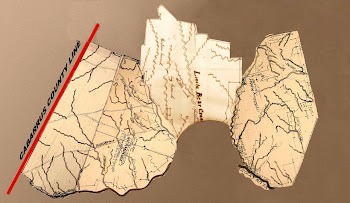 Kern County California is described as being the "Deep South" of California as about 60% of its residents had originated in the American south. During the time the Morgan brothers lived there, the Klu Klux Klan was very active in the area. Elmer's twin, Roxanna Morgan, remained in Rowan County and moved nearer to Salisbury in the Provedence area. She passed away, single, on November 30, 1998 at the age of 97. She finished the 8th grade, worked as a nurses aide and in the personel supplies industry. She had been a mother, however, having an infant that died at birth with a Pooletown neighbor, Sidney Alburtice Lyerly. She was buried at Luther's Lutheran Church with her family. The youngest child, Calvin Roscoe Morgan, followed in the footsteps of his oldest sister Dovie, and married a Shaver from a neighboring farm. This photo, which may have been either a family reunion or a church family photo, shows Cal Morgan on the back row, holding his youngest son, Roscoe. Roscoe married Maggie Ellen Shaver and raised their 7 children in Moore County, just north of Rowan, before returning to Gold Hill in Rowan County. Roscoe died on March 2, 1990 and is also buried at Luther's Lutheran Church. He was the only son to be a veteran of WW II. John Noah Calvin Morgan was known as a member of the Knights of the Golden Circle, a secret society. This membership may have had something to do with William W. Morgan and Elmer Morgan's move to Kern County, California. Seal of the KGC, worn by Cal Morgan. John Noah Calvin Morgan, born November 6, 1862 in Pooletown, North Carolina and died October 25, 1927 in Broughton Hospital in Morganton, North Carolina, a mental hospital. He was suffering from senile dementia. He was just a baby when his father, John Calvin Morgan, died. John Calvin Morgan was a Civil War Soldier. He was born on March 9, 1834 in Flat Creek, Morgan District, Rowan County, North Carolina, the same location as the house still standing. 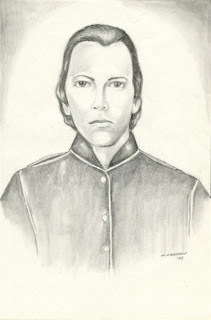 He was killed May 12,1864 in Mule Shoe, Battle of the Spottsylvania Courthouse, Spottsylvania County, Virginia. He was a private in Company H, Fifth North Carolina Infantry and enlisted for the war in Iredell County. J. C. Morgan married Rachel Evelin Wiatt in a June wedding on the 28th, in 1855. They had 2 children, John Noah Calvin Morgan in 1862, and his older sister, Mary Jane on November 20, 1856. Mary Jane married Soloman Eagle, Jr. on November 2, 1876 at Luther's Lutheran Church. He was a farmer and a blacksmith. At times, he was also a carpenter, doing work for Flat Creek Church. 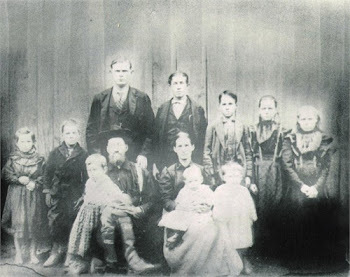 From left, Mary Lillie, Soloman, Mary Jane, Noah Jenkins Eagle, Laura LouElla Eagle, Rachel Minnie Dora Eagle and grandmother Rachel Eveline Wyatt Morgan. Only Grandma looks happy. Student body of the Pond School House where the Eagle Children attended. Pond School Road formed the North Border of the Morgan-Cole estate. A larger image of the preceeding photo shows more of their house on River Road. Although she was widowed at 29, Rachel Morgan did not remarry. She lived with her daughter and son and law on River Road, while her son Cal raised his family in the homeplace on Flat Creek Church Road and Richfield Rd, near the school. A scene from Rachel's 78th birthday party. She would live to be 79. Another shot of the birthday party. Behind the family is the old kitchen house. Servants would live upstairs and the kitchen was down stairs. A wooden side walk led from the main house to the kitchen and the family would walk the boardwalk to the kitchen for their meals. A plat record showing early land grants of Southeastern Rowan County. 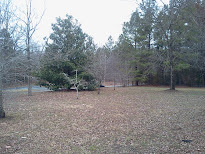 Following the Yadkin River that forms the eastern boundary, the second creek from the south is Flat Creek, along which the Flat Creek Church was built, and also the Morgan family. 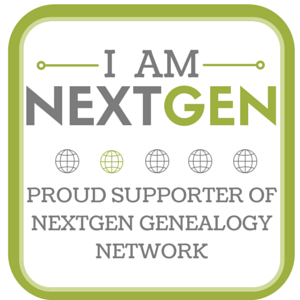 Rachel Hyatt Morgan came from the Hyatt or Hiatt and Hodge families that were early inhabitants of the Pooletown area. This is where she was born, grew up, raised her family and passed away. John Calvin Morgan was the son of Moses Green Morgan, Sr. Moses married Barbara Shaver, of the Shaver family that was prominent in the area, at Luther's Lutheran Church. He was born in Flat Creek in 1810 and died on River Road in 1879. Moses was the son of Nathan Morgan, Jr., a veteran of the War of 1812. Nathan was born in the Cane Creek area of Rowan County, near Granite Quarry. 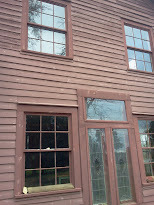 He raised his family in Flat Creek and was likely the one who built the original buildings of this old house. He married Elizabeth Park, who was from the Piney Woods section near Luther's Lutheran. Nathan Jr, was the son of Nathan Sr and Naomi Poole. Naomi was the daughter of Jacob Van Poole, the Dutch settler who came from Maryland and the family who founded Pooletown. Nathan Morgan, Sr., was born in Maryland and came as a child with his father James to Rowan County. James Morgan was born in Wales. 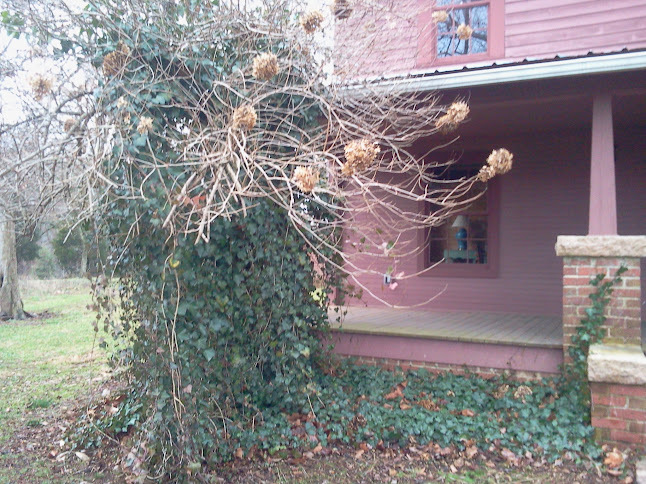 So that is the long story of the family who lived on the land and built this old house. 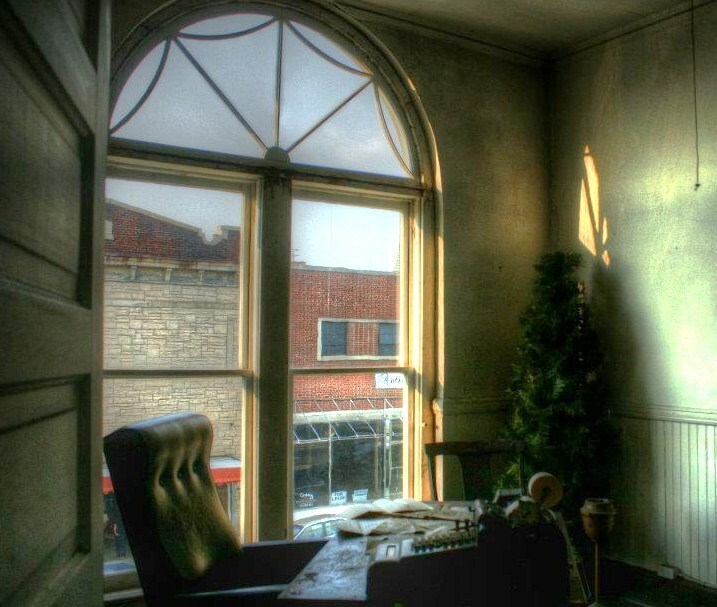 Every old house has a story. What legacies will be left in yours? Wow! This was great. 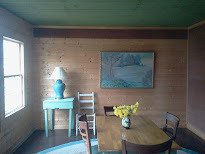 I am really impressed with the images you've shared with us, old houses, pictures was really looks great. How amazing and you did a wonderful job. Thank you.